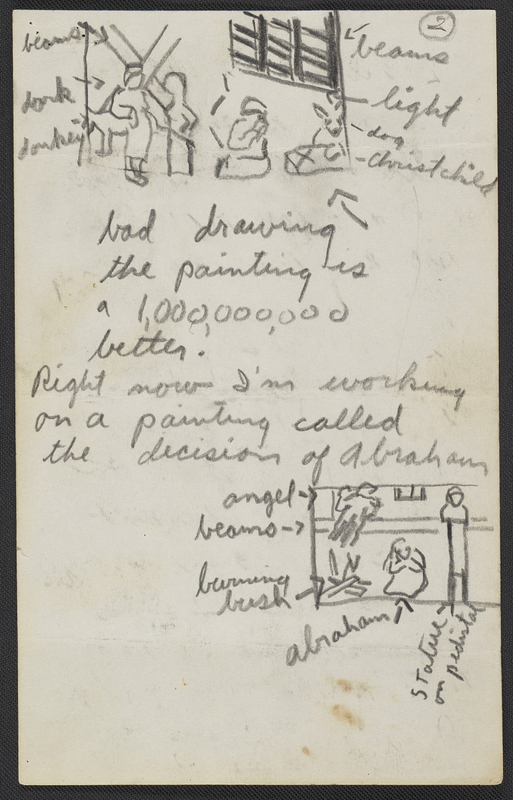 The Joan Brown Papers are housed at The Bancroft Library, University of California, Berkeley. For more information on the papers and availability for viewing, please consult the Online Archive of California. 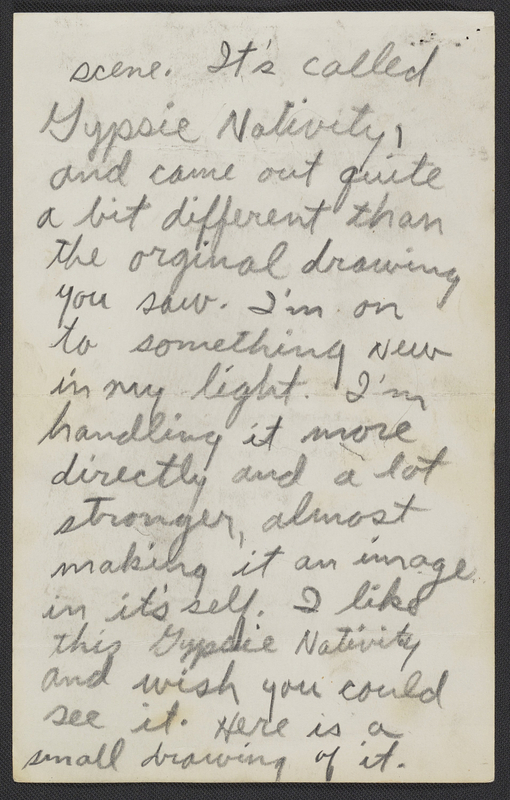 “The Joan Brown Papers consist of correspondence, announcements, catalogues, professional papers, notebooks, artwork, source material and personal papers that detail Brown's life as an artist, from her coming to prominence during San Francisco's Beat era of the 1950's, to her death in 1990. 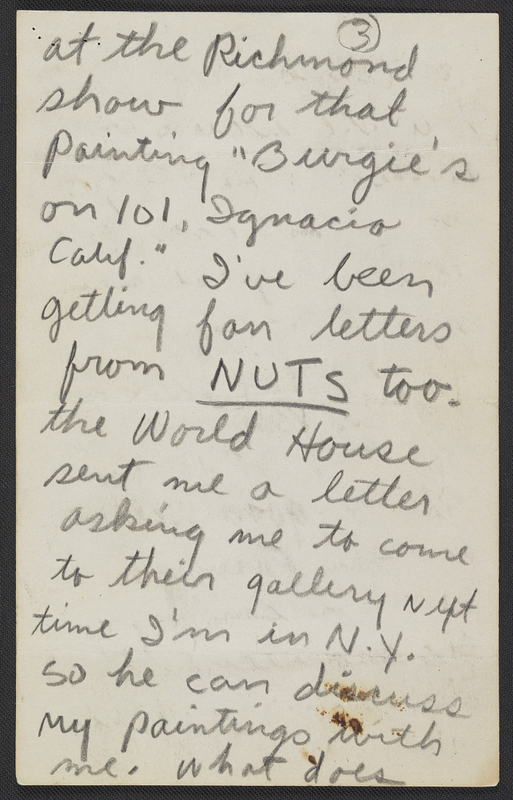 The bulk of the collection dates from the 1970's to 1990, but also includes Brown's early correspondence with her first art dealer, George Staempfli. These papers complement other collections of artist's papers held by The Bancroft Library, notably Bruce Conner and Jay DeFeo. 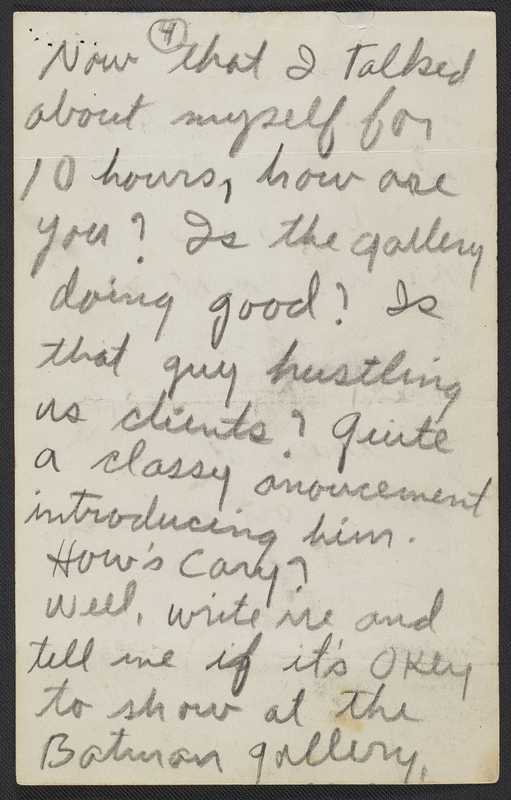 While the amount of professional correspondence is not very extensive, Brown assiduously collected copies of announcements to her exhibitions, and they give a clear and fascinating record of her professional life both personally and collectively with fellow artists. Also included is an array of papers regarding public art commissions she was to undertake in the 1980's that provide insight, often in detail, into the creation of public sculpture. There is a small clutch of drawings, most probably executed in the 1980's, that appear to be primarily studies and/or ideas for paintings that stress the spiritual. Also related to her art making is an almost exhaustive array of source material on a variety of subjects she used in creating her work. These materials include postcards, magazine clippings, brochures, and other ephemera.